Wounded in action on 28 July 1917, Second Lieutenant Cyril Edwards became the first officer to undergo a blood transfusion in a front-line hospital. A photograph album documenting his recovery provides a rich insight into how medical care developed during the First World War. Cyril caught the first one and threw it back at the Germans before it could explode. The second fell a short distance away. But the third grenade landed among his men. Cyril acted quickly and selflessly, stamping the grenade into the soft ground. It exploded, shattering his leg. But he had saved the lives of his men in the process. Members of Cyril’s platoon swiftly dragged their wounded commander back to safety, where he apparently reported the information he had gathered on the enemy line. News of Cyril’s daring action spread quickly. He was awarded the Distinguished Service Order in early August. 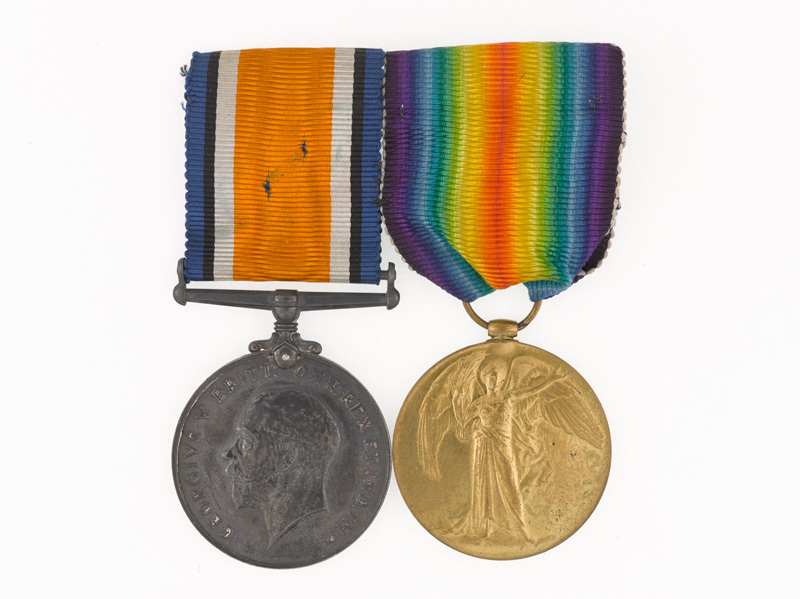 His general even delivered the medal ribbon in person to Cyril at Rouen, pinning it to his hospital pyjamas. But Cyril’s leg was far more seriously damaged than his resolve suggests. His bleeding was so severe that when he arrived at the front-line hospital, his heart had almost stopped beating. Fortunately, Cyril came under the care of Arthur Rendle Short, who had been studying remedies for surgical shock. Rendle Short had taken an interest in the early experimental blood transfusions that had been conducted at base hospitals to treat wounded servicemen. When Cyril arrived at his hospital, Rendle Short had no choice but to improvise in order to save him. At that time, little research had been done about blood groups, or incompatibilities, and there were no blood banks either. So Rendle Short simply selected a donor and brought him alongside Cyril. He then made a cut to both men’s arms and transferred the blood using a tube and needles. Miraculously, this crude method worked, and Cyril’s pulse strengthened significantly. When his condition stabilised, surgeons were able to amputate Cyril’s wounded leg. Cyril was not the only soldier to undergo experimental procedures during the First World War. The scale and severity of injuries caused by trench warfare pushed forward the development of many new medical treatments. Around the time that Cyril survived his blood transfusion, the British began to introduce the treatment for routine use. But medics soon realised that the technique had limitations, as blood had to be taken from the nearest person. Captain Oswald Robinson finally provided a breakthrough in 1917 when he found a way to store blood by mixing it with sodium citrate to prevent it congealing. This meant that blood could be stored and administered when needed. 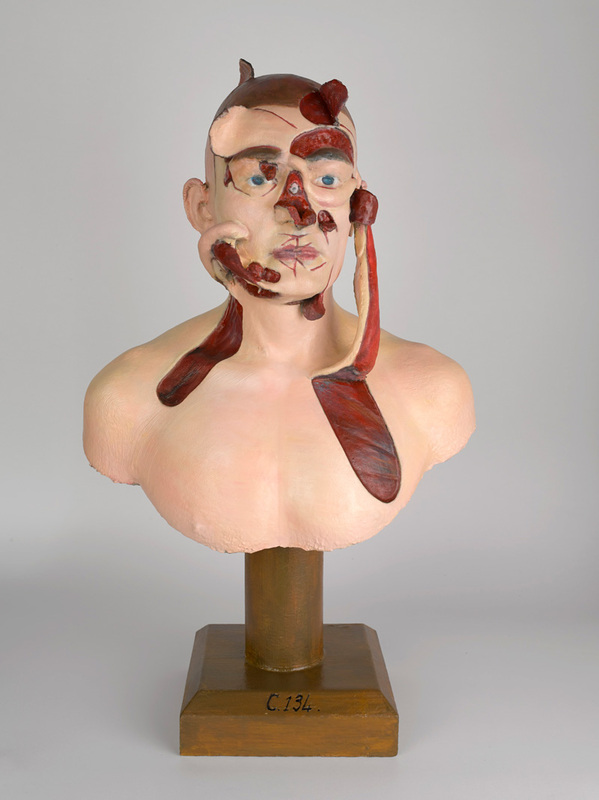 Blood transfusions, along with other treatments like facial reconstructive surgery which were pioneered during the war, are still regularly used in modern medical practice today. The Thomas Splint introduced in 1915 drastically cut the numbers of men dying from broken legs. Other modern medical tools and methods were developed during the First World War to save the lives of wounded servicemen. Triage, a system of managing casualties by their severity, was introduced in 1914 to speed up the treatment of wounded men. The Thomas splint, invented by the Welsh surgeon Hugh Owen Thomas, was introduced in 1915 by his nephew Robert Jones. It revolutionised the treatment of broken and fractured leg bones by holding the limb in a stable position and so preventing infection. This invention was so successful that it cut the numbers of men dying of compound fractures from 87 per cent to 8 per cent in just two years. Infection was brought under control by using iodine to clean wounds, and sealing dressings before use. Opening up wounds and removing dead tissue also increased survival rates. With such high numbers of casualties and the need for manpower, the army was keen to get those that could fight back into the trenches as quickly as possible. Men were offered a range of new treatments from massage to electrical therapy to speed their recovery. This was also the case for men like Cyril, who could not return to service. The army wanted to return them to civilian life as fit as possible so they only required a small pension. As soon as he was healthy enough to be moved from the base hospital at Rouen, Cyril was admitted to Endsleigh Palace Hospital on Gordon Street in London. Endsleigh, and the string of hospitals that Cyril stayed in, offered peaceful gardens and light exercise. Like many British hospitals for wounded servicemen, it was formerly a hotel, and had been requisitioned specifically for the treatment of injured officers. As part of the army’s attempts to rehabilitate wounded servicemen, Cyril also received a prosthetic leg. He was even fortunate enough to watch his leg being made at what he described as ‘Rowley’s “Leg Shop”’ in 1918. Formerly prosthetics had only been available to those who could afford to have one commissioned. But during the First World War artificial limbs were offered to wounded soldiers free of charge as a reward for their service. 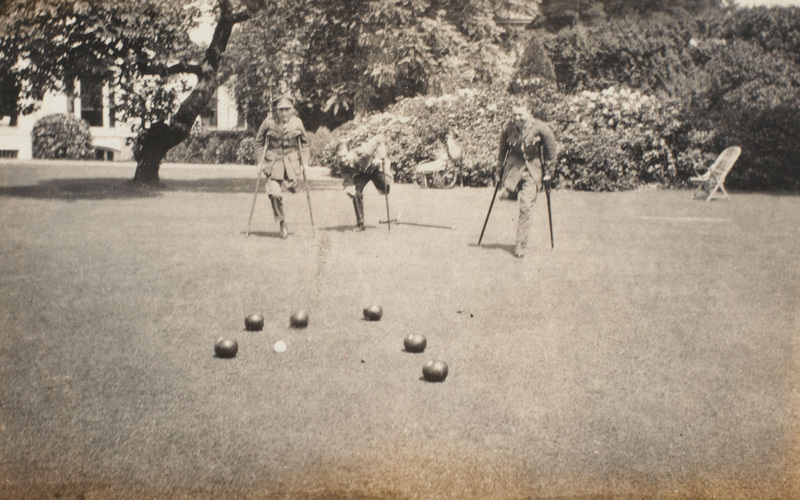 However, some records suggest that men discarded their freely provided prosthetic in favour of crutches. Cyril George Edwards (1893-1978) was born in Holborn, London, on 21 April 1893. His parents were George and Sarah Louise Edwards, and he had two younger brothers, Harry and Donald. Cyril grew up in the family home above his father’s shop at 62 Marchmont Street near St Pancras. By 1911, he and his younger brother had joined the family trade, with Cyril working as an invoice clerk, and Harry assisting his father with sales. It’s not clear when Cyril joined the army, as he only kept a sporadic record of his service. But both he and Harry joined the Prince of Wales’s Own (West Yorkshire Regiment). Donald, the youngest brother, also served during the First World War, but with the Royal Engineers. Cyril was commissioned as a second lieutenant into the 2/7th West Yorkshire Regiment in July 1916. He arrived in France almost a year later on 5 May 1917 and spent two weeks at Etaples Base camp. He joined his unit, and presumably his brother who was already a captain, at Ervilliers on the Bullecourt front two weeks later. Cyril worked as a bombing officer, where he probably oversaw the organisation of a small group of grenade throwers, and ensured that they were well supplied and supported. Evidently, Cyril excelled in this role, as at the beginning of June 1917 he was moved to the Brigade bombing school to work as an instructor. Cyril returned to front-line duties just over a month later on 4 July. His unit was still fighting around Bullecourt, an area that had seen intense fighting over the previous year, as it lay between both the Somme and Arras battlefields. Cyril was tasked with leading a series of trench raids against the enemy line. He also carried out several reconnaissance patrols. It was during one of these patrols that he was wounded on 28 July, saving the lives of his comrades by standing on a grenade. After receiving treatment by Rendle Short for his wounds, Cyril was moved to the Red Cross hospital at Rouen until he was able to return to England. During this time, he was awarded the Distinguished Service Order for the gallantry he had shown in smothering the grenade, and received multiple congratulatory letters from his men wishing him a swift recovery. It is evident from the disappointment expressed in these letters that Cyril, who was unable to return to the unit, was an amicable and much loved comrade, whose presence would be missed. Cyril was moved to Endsleigh in September 1917 where he began to compile his photo album. He took pictures of the nursing sisters changing his dressings and documented the stages of his recovery. By the end of November 1917 Cyril was moved again to Watermouth Castle in Devon to convalesce. While there, he enjoyed country walks and trips to the seaside. Despite losing his leg, Cyril apparently remained upbeat, and did his best during his care to help and encourage others. Sometime in 1918 he returned to London, where he was admitted to the hospital at Dover House. Cyril takes a ‘selfie’ after practising with his new prosthetic leg. The parallel bars helped wounded men with their balance. Cyril had a prosthetic limb made in 1918. His excitement at receiving his new wooden leg is clear through the series of photographs he took of himself heading to the ‘leg shop’ and watching his prosthetic being made. After the end of the war, Cyril rejoined the family business in Bloomsbury, eventually taking over its management in 1943. In 1920 he married his sweetheart Alice Adela Aida De Braga, to whom he had been close before going to France in 1917. At some point in later life Cyril moved to Eastbourne in Sussex. He died there aged 85, in September 1978.